Every Wednesday and Saturday in April and May – Tours begin at 11.30am and 1.30pm. Our volunteer-led tours are a unique way of exploring the highlights of our Museum. 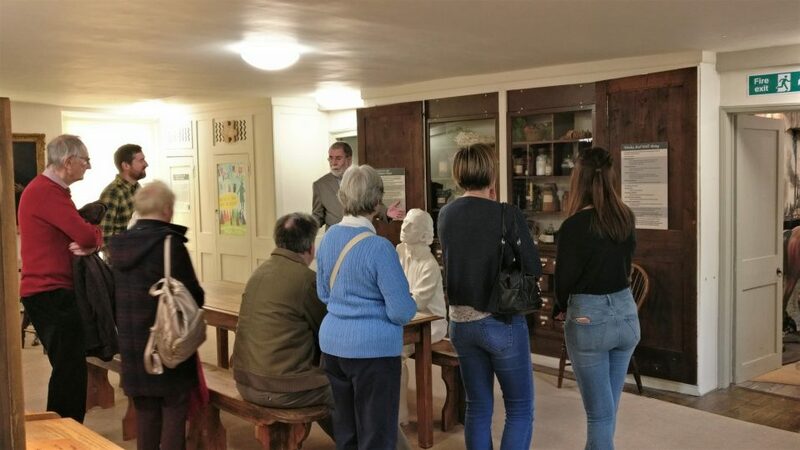 These tours provide a wonderful introduction to our collection and will give an insight into the fascinating stories behind the oldest Methodist building in the world. Step into the preachers’ rooms above the Chapel to see John Wesley’s bedroom and study, discover the earliest membership book, and try on costumes from our dressing up cupboard. “Really appreciated our tour guide. Brilliant Museum, superbly done – a real credit to the New Room”. Tickets can be purchased in advance via Eventbrite (click here) or bought from the New Room on the day. Tours start from the New Room atrium and are charged at normal Museum entry rates. Bring your questions and your camera (no flash please). Tours are limited to a maximum of 8 people. All tours are wheelchair accessible and suitable for visitors of all ages. Cloakroom facilities are not available on this tour. For further information or to book child or family tickets please contact Kate Rogers on 01179264740 or email collections@newroombristol.org.uk.